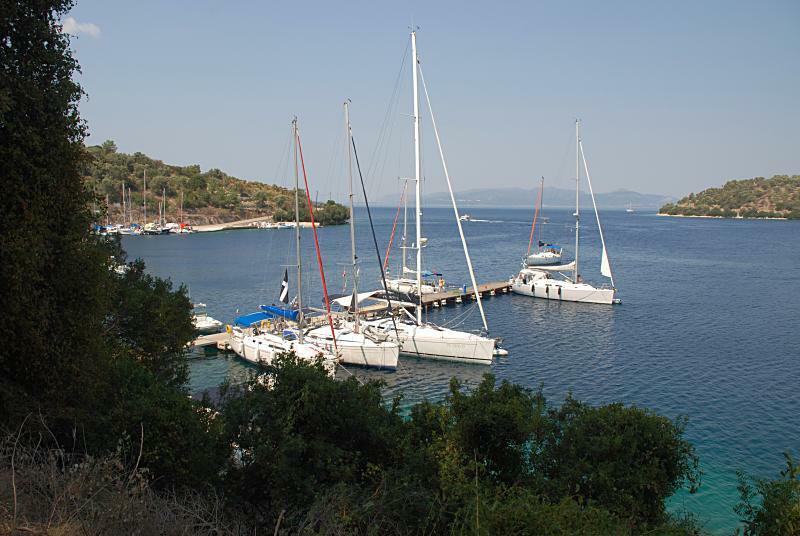 The island of Meganisi is a mini cruising area on itself - abound with suitable anchorages mainly around the northern coast of the island plus the ports of Vathi (meaning deep) and Spiglia below the town of Spartakhori which can be reached by the winding stairs directly adjacent to the bay. Note that there places are visited by flotilla fleets which is not very ideal for the regular bareboat yacht charters. The most obvious way to avoid the crowds is by sailing Greece outside the main charter season, in order words not in July and August and preferably not the first week(s) of September too. Moreover, yacht charters and sailing holidays are much cheaper then.